Located on 56 beautiful hillside acres on the Mesa Verde highway, only two minutes from historic downtown Durango. 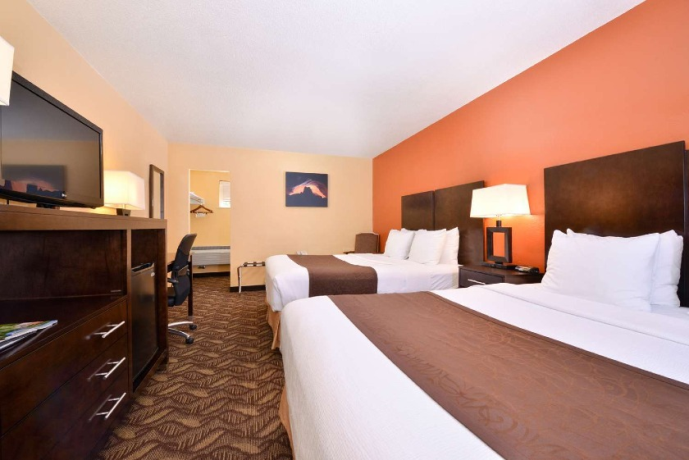 All of the spacious, clean rooms offer cable satellite television with HBO, a coffeemaker, a refrigerator, high-speed Internet access, a desk and more. Many rooms also offer private balconies. Wake up feeling refreshed and enjoy a complimentary continental breakfast that includes coffee, juice, sweet rolls, bagels, donuts, hot and cold cereals and more. 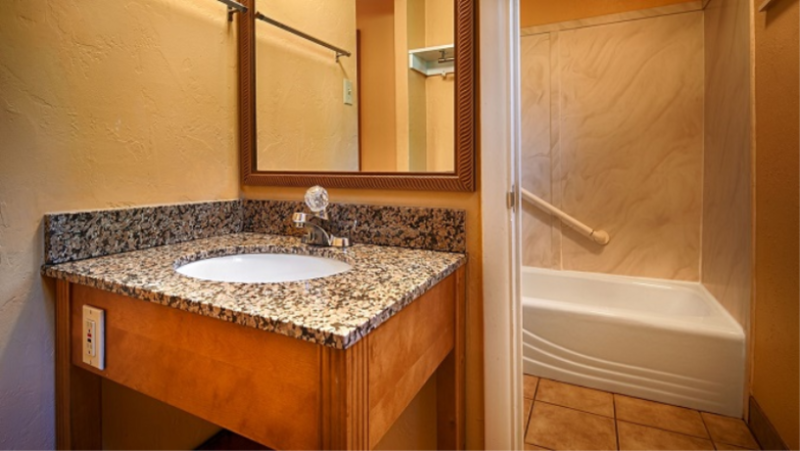 With a variety of guest amenities including complimentary deluxe continental breakfast, outdoor heated pool, hot tub, sauna, and on site dining, the Best Western Durango Inn & Suites offers a great Durango Hotel value. Standard hotel room with a king bed, microwave, refrigerator, and coffee maker. Standard hotel room with 2 queen beds, hairdryer, iron/ironing board, coffee maker, and small refrigerator. Suite with two queen beds in the bedroom and a sofa bed in the living room. The outside has either a patio or a balcony. Also includes a microwave and refrigerator. Suite with king bed in bedroom and sofa bed in living room. The outside has either a patio or a balcony. Also includes a microwave and refrigerator. Approximately 1/2 Mile west of the intersection of Hwy 550 N and 160 West. If coming from Durango the hotel is on your left hand side. General	| DIRECTIONS: Approximately 1/2 Mile west of the intersection of Hwy550 N and 160 West. If coming from Durango the hotel is on your left hand side. Deposit	| Major credit card required to guarantee reservation. Pets	| Pets are accepted with an additional $15 per night, non-refundable fee.